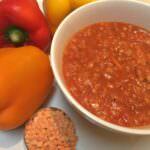 What’s in this Hearty High Fibre Red Lentil and Tomato Soup? In a large saucepan, add a little oil and gently fry the onions and celery until soft, for approx 5 mins. 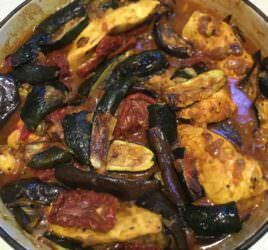 Add the red peppers and continue cooking for a further minute. Add the red lentils and stir to mix well. Add the tomatoes and passata, stock, oregano, salt & pepper and bring to a boil. Reduce the heat and cover. Let it simmer until the lentils are tender (about 20 mins). If soup is too thick, add a little boiled water/stock until desired consistency. 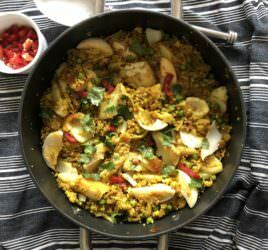 TIP: Be careful not to overcook the lentils as it is best if the lentils retain a little “bite” This soup is best made in advance so the flavours can infuse. It also freezes well. TIME SAVER: If you own a Thermomix, you can chop the onions, celery and red peppers at the outset, sauté and cook the soup in one bowl and then blend in the same bowl at the end! 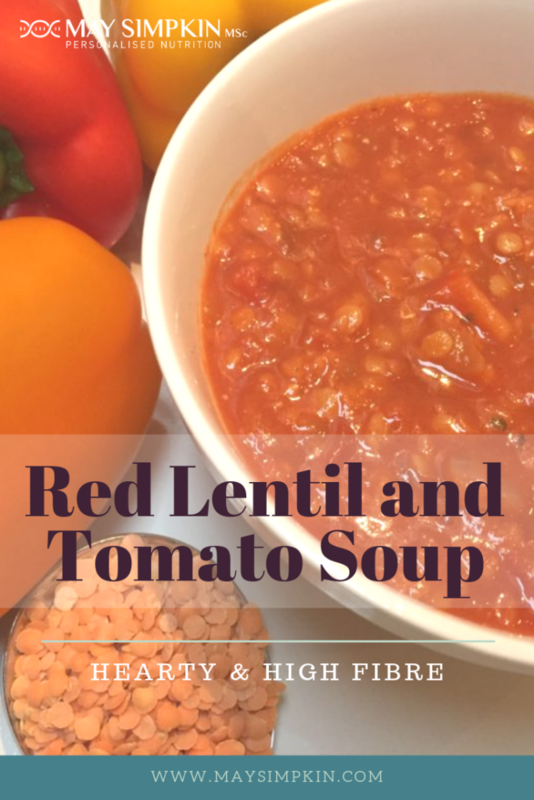 This delicious Hearty High Fibre Red lentil and Tomato Soup is a perfect one-bowl meal, with the red lentils providing good protein, fibre and tomatoes and red peppers offering plenty of nutrients. Whether its a warming snack you’re looking for or a hearty portable lunch, this Hearty High Fibre Red Lentil and Tomato Soup is a winner!